How many engineers does it take to build a Rube Goldberg machine? As a hardware company — we make high-resolution desktop 3D printers — we had quite the team, to say the least. To celebrate the launch of our latest resin, Tough, we gathered a toolkit of engineers to help build a 3D printed Rube Goldberg machine. Inspired by the Japanese children’s series Pitagora Suichi, we wanted the machine to be fun, surprising, and also showcase the properties of Tough Resin: durability, strength, and impact-resistance. 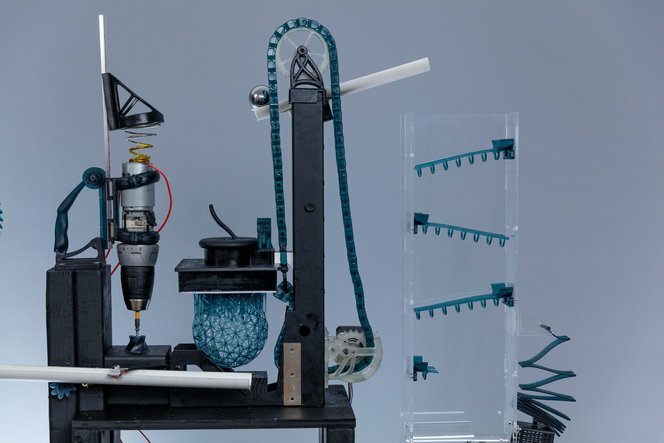 Check out more of our journey in our Medium post: How We Built A 3D Printed Rube Goldberg Machine.